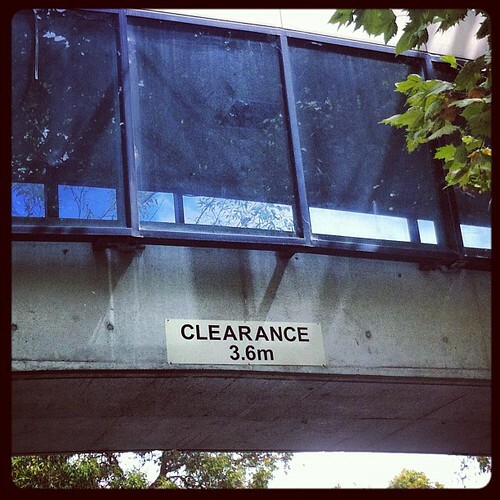 There is a clearance sale on for overhead walkways at Macquarie University. This entry was posted in Photos, Uni and tagged MacquarieUni, photo, sign, university. Bookmark the permalink.